Scuba diving has been made look glamorous in Bollywoood. Films like Zindagi na Milegi Dobara have made it look so easy and simple, that you just dive in and swim. But it's not that easy. A lot of science goes into it. Scuba diving is a profession in itself as well as it is done as a recreational activity. Basically Scuba means self-contained underwater breathing apparatus. It's an underwater diving mode wherein the diver uses a scuba to breathe underwater. Recreational diving is done for enjoyment and has a number of disciplines to increase underwater interest such as cave diving, deep diving. Some divers also work full time, part time as instructors, dive masters and guides. Other areas of scuba diving include military, civilian operations. Many police forces operate police diving teams to perform "search and recovery" or "search and rescue" operations. Moreover, some professional divers are involved with underwater world such as underwater photographers, underwater video graphers. They are involved in documenting the underwater world, or scientific diving, including marine biology, geology, hydrology,oceanography and underwater archaeology. Bay of Bengal offers amazing diving spot with pristine corals. The diving spots in Andaman are The Wall, Havelock and Dixon’s Pinnacle. It's a divers paradise which offers daring, thrilling experience. The transparent blue water is mesmerising. The diving spots here are Princess Royal, Lost Paradise, Dolphin Reef, Class Room, Fish Soup and Manta Point. Scuba in Goa is one of the safest place. Many people feel Goa is all about beaches and ocean. Many people don't know Goa also offers a great scuba diving. The scuba diving spots in Goa are Suzy’s Wreck, Sail Rock, Davy Jones Locker, Grand Island, Shelter Cove and Turbo Tunnel. Netrani Islands, located 10 kms from Murudeshwar, off the coasts of Karnataka offer a nice scuba diving place. The famous diving spot of Netrani is Bhatkal shipwreck. The costal waters of Tarkarli located near Sindhudurg Fort in Maharashtra, is clear and abundant with corals and colourful marine animals. Pondicherry is the perfect destination for beginners as well as professionals. Being the only diving spot on India’s eastern coast, Pondicherry is characterised by natural coral reefs. 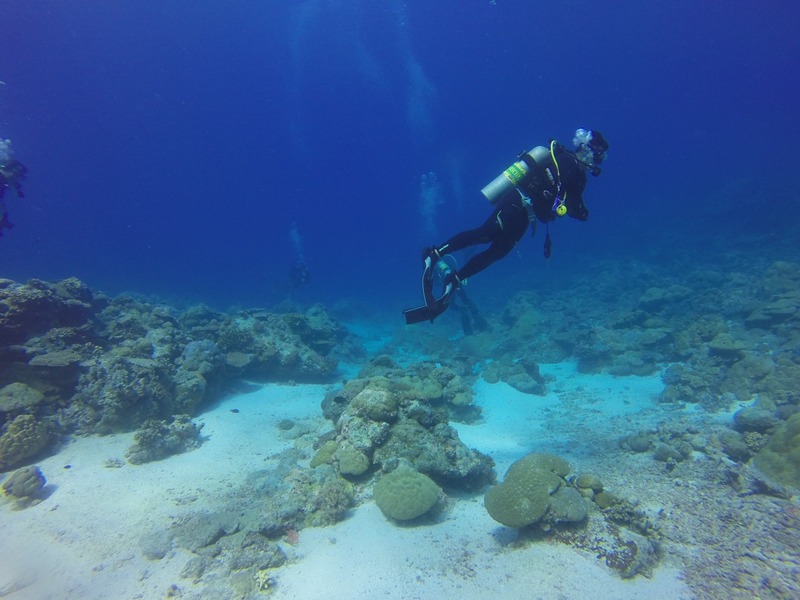 The diving spots are Cool Shark Reef, Aravind’s Wall, Temple Reef, 4 Corners, Ravines and The Hole. Hope this article is able to shed light on scuba diving as a professional service and the scuba diving places in India. Let me know your thoughts and leave your blog urls for me to check out.